What is debt? How did we get so much and what can we do about it? This discussion of debt and finance will explore how debt has changed over time and its significance in our culture and society. 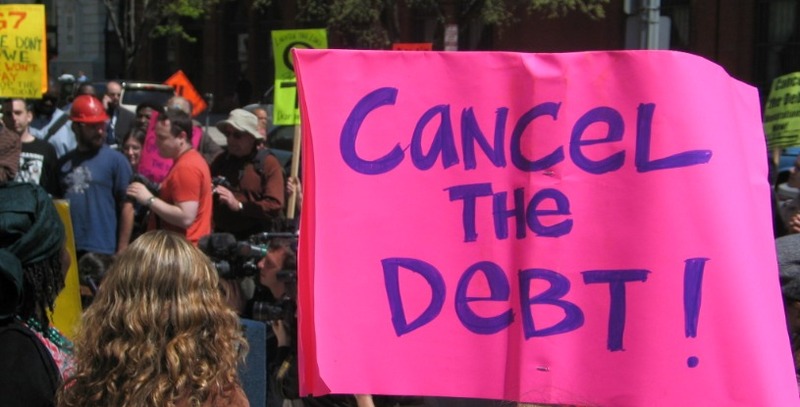 Central to the conversation will be the role of the state and banks in shaping our debt regime and the significance of Occupy Wall Street and other social movements that seek to resist or constrain the control of debtors by their creditors. David Graeber (Goldsmiths College), is an anthropologist and the author of Deb t: The First 5,000 Years. More recently, Graeber has been known for being, according to Business Week, "the anti-leader of Occupy Wall Street" and the originator of that movement's main slogan: "We are the 99%." Louis Hyman (Cornell University) is a historian of the United States and the author of two recent books on debt. His Debtor Nation: A History of America in Red Ink, was selected by Choice reviews as one of the top 25 academic titles of 2011. And his new book, Borrow: The American Way of Deb t, was published in January 2012 by Random House. Greta Krippner (University of Michigan) is a sociologist and the author of Capitalizing on Crisis: The Political Origins of Finance, which explains the financialization of the U.S. economy starting in the 1970s. It won the President's Book Award from the Social Science History Association. Peter Goodman is executive business editor of the Huffington Post, author of Past Due: The End of Easy Money and the Renewal of the American Economy, and formerly the national economic correspondent for the New York Times, in which capacity he covered the 2008 financial crisis.